Guerrillas from Turkey’s Kurdistan Workers’ Party are on the front lines in northern Iraq. Many of the organization’s leaders, including 24-year-old Avesta, are women. MAKHMOUR, Iraq — Avesta enters the cramped room in a teachers’ residence turned temporary military base, ready for a meeting with her fellow fighters. The six commandos rise to shake her hand. She greets each individually. “Hello, heval,” she says, calling them by the Kurdish word for comrade. Then she lays down her Russian sniper rifle, and tea and coffee are served. The Islamic State’s fearsome fighters are just around 10 miles away, but the Kurdish snipers, some still teenagers, are mostly relaxed. They debate the merits of drinking coffee versus tea, discuss the situation in the camp, and joke with each other. “You are very photogenic,” one of the fighterstells Avesta cheerfully as she poses for a photo. She smiles shyly as others burst into laughter. 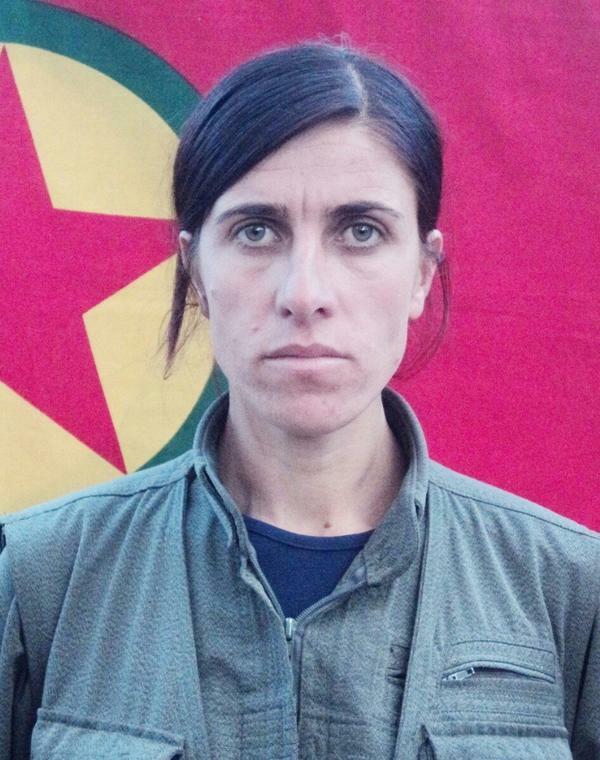 Seeing the atrocities committed by the jihadists against Kurds in Sinjar and other areas, Avesta says she and others in her unit volunteered to be among the first group of PKK guerrillas sent to Makhmour. Her unit takes its orders from the PKK command in the Qandil Mountains. But on the ground in Makhmour, the unit also has some “limited” coordination with Iraqi Kurdish Peshmerga troops, Avesta says. It was as a young woman in the rugged mountains of southeast Turkey and northern Iraq that Avesta says she discovered herself. “It was in the mountains that I found out women can be also powerful,” said Avesta. The ranks of the PKK, a Marxist organization, are filled with women, a rarity in the conservative cultures of the Muslim world. About half of the organization’s leaders are women. And the Kurdish guerrilla group stands in especially stark contrast to the radical fundamentalism of the Islamic State, which confines women’s role to mostly domestic tasks such as raising children, cooking, cleaning, and pleasing their husbands.